When performace issues are reported most of the DBA's remain in confused state and the following questions keep running in their minds. 1) From where do I start, investigating? 2) What are the details that can help me isolate the troublesome part in the database? 3) How do I prove that my findings are correct and accurate. Below are few technique's which can help a DBA to isolate a performance issue and pin point the culprit behind the database performance issue. Below is the snippet of the O/P, which displays the expensive SQL's seen so far. 6vgrdp67bc6cq 766.20 SELECT "A5". "ITEM_NUM" "SORT_ORDER","A5". "ATTRIBUTE1" "
Further enter the SQL_ID on to the prompts that can help you identify the the execution plan for the SQL_ID, You can directly check for any problem in the execution plan, Also find if the SQL is using dynamic execution plan. Also, the report gives the rational's and other task_id created for doing a SQL profiling, If it finds a better execution plan. Now that we talked about SQL profiling , that does not give a permanent fix to the troublesome SQL, So, we need more information to find if its really a bad SQL with a poor code. 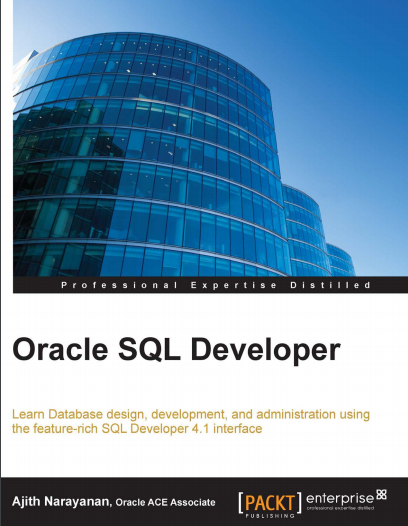 Below information's can help us identify, If the SQL keeps changing the SQL plan very frequently, and there by creating too many cursors in library cache and leading to performance issue. Let's see what the columns mean. Oracle observes the cursors for a while and sees how the values differ. If the different values can potentially alter the plan, the cursor is labeled "Bind-Sensitive" and the column IS_BIND_SENSITIVE shows "Y". After a few executions, the database knows more about the cursors and the values and decides if the cursor should be made to change plans based on the values. If that is the case, the cursor is called "Bind-Aware" and the column IS_BIND_AWARE shows "Y". In summary: Bind-Sensitive cursors are potential candidates for changed plans and Bind-Aware ones are where the plans actually change. the database must be holding that information somewhere. It exposes that information through another new view V$SQL_CS_SELECTIVITY that shows the selectivity of the different values passed to the bind variable. This view shows a wealth of information. The column PREDICATE shows the various predicates (the WHERE condition) users have used. The LOW and HIGH values show the range of values passed. This view shows the statistics about the execution as recorded by the database. The column EXECUTIONS shows how many times the query was seen to be executed with different values in the bind variable. The column PEEKED (shown as "P") in the output shows if the optimizer peeked into the bind variable to arrive at a good plan. These views show additional information that is not necessary for you to understand how this feature works. Adaptive Cursors are activated and used automatically.